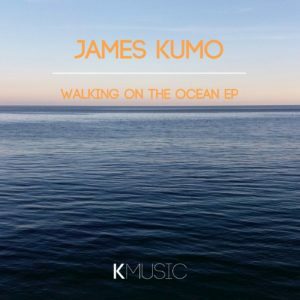 James Kumo combines an anticipation of the future alongside softer, more introspective keys that formulate a tempting, dive straight into landscape of sound that satisfies on many levels. The title track, Walking On The Ocean quickly builds in intensity releasing emotional resonance soon enough while attacking your feet with a series of pulsating drums and atmospheric layers of rewired electricity. The dangerously titled Silent Mass follows with even deeper, yet funkier drums programmed to excite its waves of sound still further, while Tribe ends via more robust tribal flavoured beats plus a tempo to match.